I was at sixth form, studying Mathematics, Physics, History and Design and Technology. However, I was always interested in the financial industry and wanted to study Economics, as it combines my skills and passion for statistics and essay writings. I applied to City, as Economics was my top degree choice and City is situated in the heart of the major financial capitals in London. City provided me with the opportunity to pursue my passions and gain valuable experiences, enhancing my future career prospects. I like the diverse range of opportunities City provides to students, which include the various Ambassador Schemes available on campus. As a Senior Marketing Student Ambassador, I have developed my public speaking and presentation skills. In addition, the networking opportunities and the Careers Service heavily assists in helping students become more employable. I play cricket for the University and my local club, Dulwich CC. 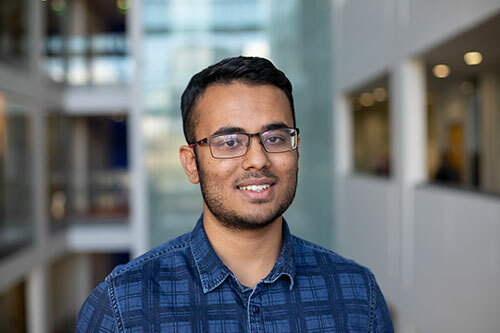 I am also a member of the Economics Society and a Widening Participation Ambassador, working with young people from underrepresented backgrounds, acting as a role model and sharing my experiences about university to help them create their own path into higher education. I would like to work in the financial sector. Having an experience as a Summer Analyst at a FTSE 250-listed broker IG Group, I enjoyed the regulatory and risk modelling aspect of the economy. This is something which I wish to pursue as part of a graduate scheme, as it can shape the future of finance. Find your ambitions and try to maximise your opportunities to pursue what you are passionate about.